Industrial IoT is already bringing huge benefits to multinational manufacturers who have made the investment. But how can small-and-medium sized enterprises (SMEs) with fewer resources start to benefit? If you look at any of the surveys done on Industrial IoT adoption, they all tell a similar story. Deployment of operational IoT solutions in large companies is around 20%, and in some industries as high as 80%. But in small to medium enterprises (SMEs), adoption is closer to 10% with low levels of general awareness reported. In 2016, 94% of US manufactured exports came from SMEs at an export value of approximately USD $180 billion. 98% of US-based manufacturing firms have less than 500 employees, while three-in-four employ less than 20. This matters, because the health of some of the world’s biggest manufacturing companies depends on the health of this complex network of SME suppliers. While an aircraft manufacturer may implement the latest IoT technology throughout its assembly plant, they are still reliant on many smaller suppliers across the world. Unplanned downtime can cripple a small manufacturer who may not have adequate backup equipment or spare capacity to make up for the loss of production. In industries that embrace a lean approach to manufacturing, such failures can quickly propagate throughout the supply chain. Given the cost pressures faced by many SME’s, Industrial IoT solutions with a proven ROI should be an easy sell. So why aren’t they? Building up Industrial IoT expertise in a small company from scratch is at best an extremely difficult task. SMEs don’t possess the same financial or human resource options as multinationals. With little background in the connected world, such SMEs don’t know what they don’t know. With this in mind, there is a risk of a growing divide opening up between the haves and the have-nots when it comes to Industrial IoT. Some full service providers market themselves toward the SME market. And the benefits are compelling: Access to expertise, ready-to-use solutions and so on. But there are significant downsides, in particular the high cost of convenience. Full service providers are not necessarily independent. SMEs run the risk of unwittingly tying themselves into a system or platform that may not last the course. A quick web search is all you need to see the rapid rise of solution providers peddling IoT solutions to smaller enterprises. But many of these are merely simple web shops, with little or no expertise behind them. This compounds the problem. Even an SME with basic knowledge of IoT doesn’t have the time or skills to distinguish the good from the not-so-good. For someone without IoT knowledge, the task quickly becomes impossible. Are company builders the solution? Outsourcing Industrial IoT development to a specialist ‘company builder’ is an intriguing new alternative. The concept involves a collaborative approach to innovation and value creation. Both the risks and the benefits are shared between the existing company and a group of entrepreneurs. That said, the company builder should also have knowledge of the unique challenges of SMEs and preferably the specific market. There’s a real need for Industrial IoT solution providers that work for SMEs. The market potential is there. While the revenues are likely to be lower, SME’s tend to operate on a much leaner model. This means quicker decision-making, faster time to deployment, and improved cash flow. 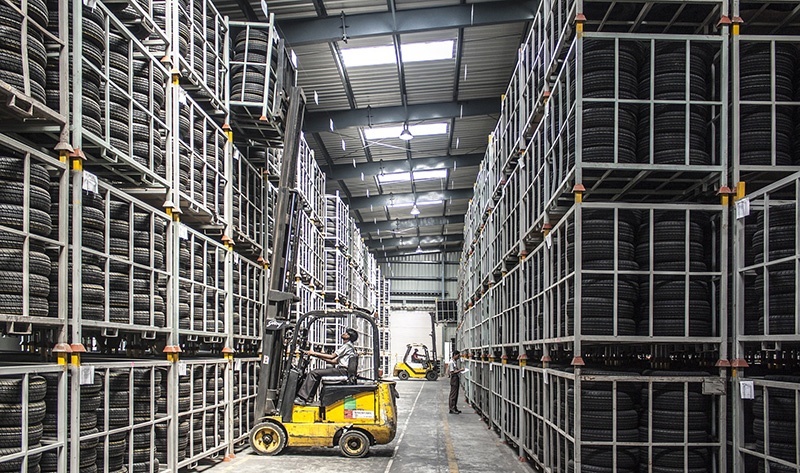 Industrial IoT solutions need to be made easier to understand and easier to access for SMEs because of their crucial role in the world’s supply chain. What such companies need most are monitoring systems that can identify issues early, and/or cost-cutting systems such as a smart lighting system. This can become the backbone for a mesh network that eases their path to a more connected facility in the future. > Read more: Bluetooth mesh in lighting: What comes next? While large multinationals can afford the big consulting companies, they are not feasible for the typical SME. A consultant, solution provider or company builder that can offer these kind of services with a business model that works for small business could see massive returns.